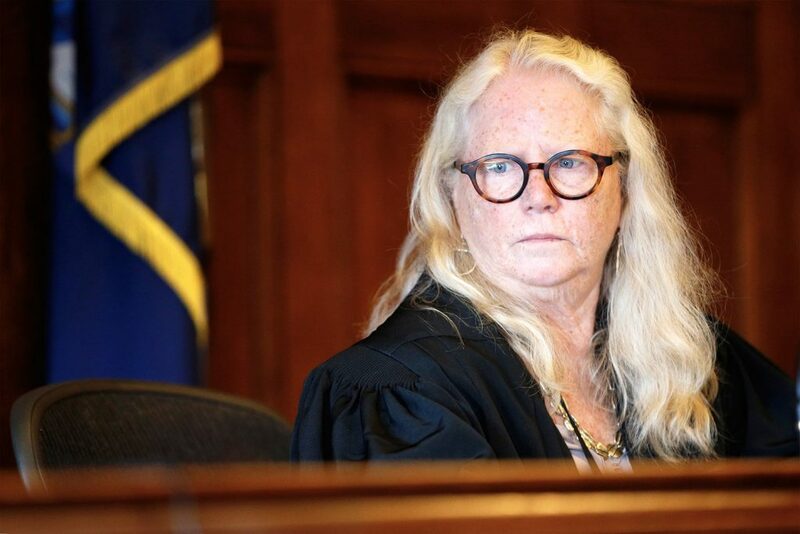 The Attorney General’s Office says it requested Justice Joyce Wheeler step down from the case because of statements she made at Sanborn’s bail hearing in April. The Maine Attorney General’s Office has asked the judge assigned to the murder case of Anthony Sanborn Jr. to recuse herself based on comments she made at Sanborn’s bail hearing in April. In a statement, the attorney general’s office said a lawyer for the state made the request during a conference in Justice Joyce Wheeler’s chambers Friday. “The state moved orally for Justice Wheeler to recuse herself based on her comments made at the bail hearing as well as the perception by the public, including the victim and petitioner’s families, that Justice Wheeler had already decided in favor of Anthony Sanborn,” Timothy Feeley, a spokesman for the attorney general’s office, said in a statement Monday. A message left for the Briggs family was not returned Monday. Mary Ann Lynch, a judiciary spokeswoman, said that judges do not comment publicly on pending cases. In general, anyone may lodge a complaint against a judge with the Judiciary Responsibility and Disability Committee, an independent body that investigates allegations against members of the state bench but has no authority to become involved in a court case, according to the committee’s website. Sanborn’s attorney, Amy Fairfield, filed a written rebuttal to the recusal request in which she described the statements at issue made by Wheeler in the April 13 hearing at which Wheeler granted Sanborn bail, 27 years after his arrest and conviction for a murder he maintains he did not commit. 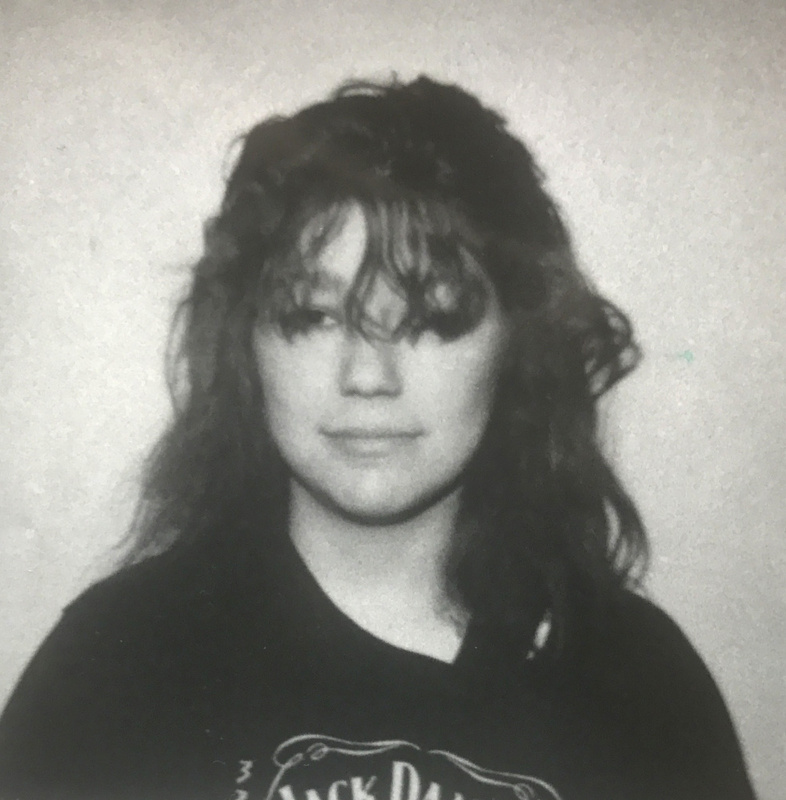 The first statement cited by Assistant Attorney General Meg Elam, who is prosecuting the case, was discussion by the judge about the state’s star witness at Sanborn’s 1992 trial, Hope Cady, who said at the time that she saw Sanborn stab and kill Briggs, who was 16, on a darkened pier around midnight on May 24, 1989. Briggs’ body was recovered from Casco Bay. Portland detectives focused on the group of street kids with whom Briggs associated, including Sanborn. The two briefly dated. 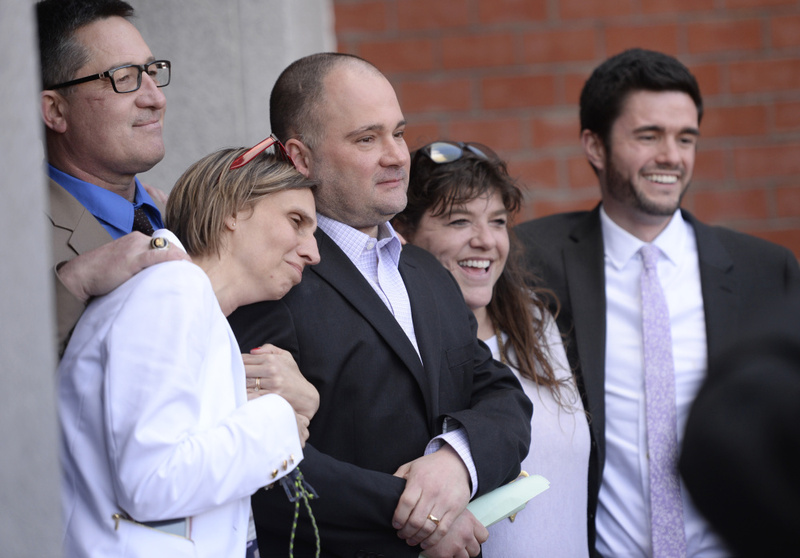 But Cady recanted her testimony last month and said she had been threatened by detectives that if she did not go along with what the police told her to say, they would lock her up in the Maine Youth Center. Cady also said that she had vision problems as a child, and her vision was 20/200. Fairfield alleges that these facts were never disclosed to the defense in 1992, and could have led to a different outcome at trial. Following Cady’s recantation, Wheeler delivered a statement summarizing what had been presented, and said that she found Cady’s recantation to be credible. “Quite frankly, I wouldn’t have wanted to put – go forward on a case based on her testimony,” Wheeler said, according to the transcript of the hearing, which was cited in Fairfield’s filing. The second statement that Elam cited came moments before Wheeler announced she was granting Sanborn bail. “This is only a bail hearing so I cannot apologize to you, Mr. Sanborn, at this time,” Wheeler said. Fairfield argues that the state took those statements out of context. The judge’s statements, Fairfield wrote, came in the analysis required by a judge when considering whether to grant bail post-conviction. Court rules require the judge to determine whether the applicant has a likelihood of success going forward. The grounds for a judge to recuse himself or herself is laid out in the Judicial Code of Conduct, which provides rules, historical interpretation and case law as guidance. According to the code, judges must “uphold and apply the law, and shall perform all judicial and administrative duties promptly, fairly, and competently.” Simply disagreeing with a judge’s decision is not grounds for recusal, according to advisory notes included in the rules. “That a court has decided disputed issues of law and fact against a party is not, without more, evidence of lack of impartiality,” the state supreme court wrote in a 2014 case, citing a 2008 dispute in Cumberland County over a family’s estate. There is also a provision explaining that a claim of impartiality cannot rise so long as a judge’s opinion is based on the facts presented in the case before him or her. “A judge is ordinarily entitled to form a view of the parties that is favorable or unfavorable, so long as it derives from information in the case; there may be exceptions but they are ‘rare’ indeed,” a Boston appeals court found in 1997. Wheeler also granted a request by the state to delay further proceedings in Sanborn’s case to give the state more time to prepare. Wheeler scheduled the next dates for seven days between July 24 to July 26, and Aug. 1 to Aug. 4. Hearings had been previously been slated for May 24-26. In their request for the continuance, Assistant Attorney General Paul Rucha said that since the original petition for review of Sanborn’s conviction was filed, Fairfield has amended the allegations against the state multiple times. Assistant Attorney General Donald Macomber, who had represented the state prior to the April 13 bail hearing, withdrew from the case. Because Macomber helped prosecute Sanborn during his trial in 1992, he said that he would have to become a witness in the case, as he has first-hand knowledge about statements made by witnesses who have now recanted.